This is a hands-on experiential archaeology course in one of the most important Celtic hill-top fortifications in central Europe: The Heuneburg in south western Germany. 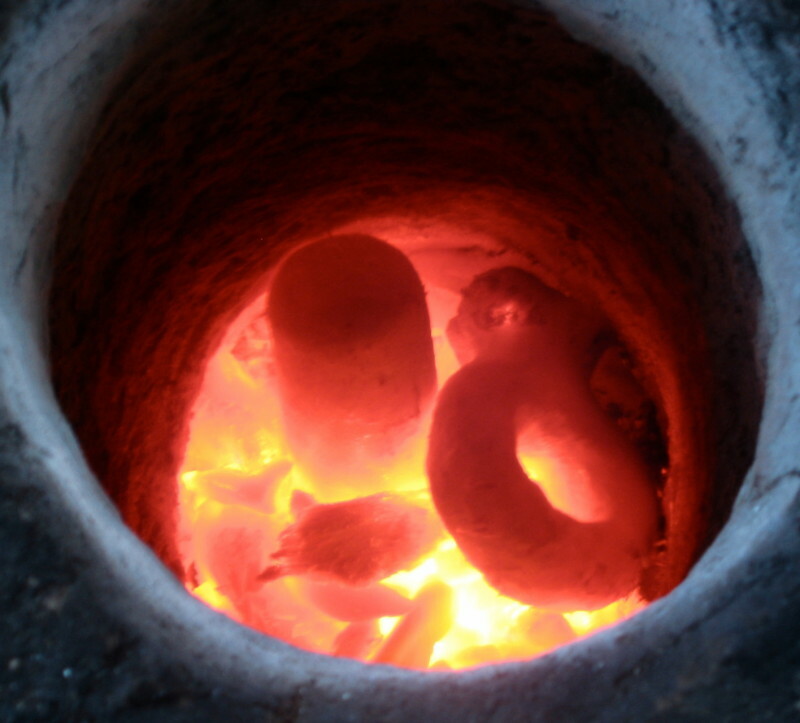 On April 26/27 we are holding an intensive course on the archaeometallurgy of bronze with loads of information to go alongside the practical experience of casting bronze the ancient way. It has been my main objectives to foster the first hand experience of metallurgical processes alongside the scientific study of past archaeometallurgical activities. 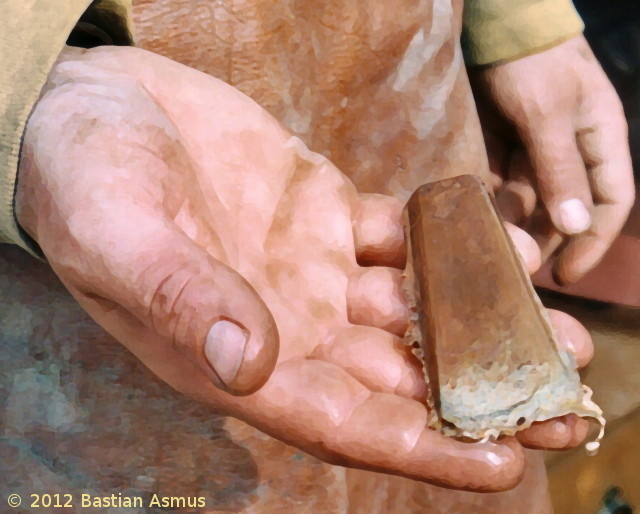 Together with the Heuneburg Open Air Museum we are now busy developing the Heuneburg Academy, where hands-on experience is thought of as an equally important aspect of archaeometallurgy, as is for example scientific archaeology or archaeology. Only through an transdisciplinary approach will we able to better understand our forebears. Practical work includes the preparation of the refractory clays or loams for furnaces, crucibles and casting moulds. Theoretical discussion are invoked when it comes to the function and construction of melting installations. Do we need bellows? Why is the refractory material different for moulds, crucibles and the furnace. Can we use natural draught instead and why does it work? How does the charcoal particle size influence the performance of the furnace? These are just a few questions we are going to tackle as we go along in making our very own wax models, for the lost wax method. Exclusive view into a kiln: here you can see the red-hot loam moulds in preparation for the bronze casting. For that end everyone has to sit at the grindstone, crushing old moulds to produce the finest grog hands can make. This is mixed with fresh clay and organic temper to produce one of the best moulding loams you have ever seen: Your very own! We are then going to de-mystify the gating-system and prepare our mould with the freshly made grog. By the early evening everyone will have finished his wax model and has made her/his mould, which have now to be dried and fired over night. Again we ask ourselves: How can it be that we can fire a mould that now is still green? The second day is the day of the casting: Because the moulds where fired all night they are now ready for bronze casting. All moulds are inspected and checked for cracks, fissures or other damages. Parallel to this the furnace is started and charged with charcoal, crucible and bronze metal. Once the metal is liquid enough the participants will cast their moulds. Casting will take most of the day, but there is plenty of time fr discussion: How hot does the metal have to be? How much energy do we need? What exactly in bronze and how do the alloying components influence the property of the material? Is there a way of telling what is in the metal without a SEM-EDS system? After casting and cooling the moulds are cracked open and the ingate and vents are separated from the cast object by chisel and hammer. And then it is back to grind stone, most shaping is achieved by grinding. All that need not be shaped by grinding, may be shaped by the use of a hammer. At the end of the day we will all have a beautiful object, and even more important a much deeper understanding of the processes involved in making a metal object. keenly interested in the making of bronze objects AND possess the curiosity why things work the way they do. It is an intense, but overall fun course that will leave you totally exhausted, but brimming full of ideas what to do with your new knowledge. Be it as an academic, or a craftsman or artist. 10 participants max. Cost 250 Euro/person. Bastian started his way to become an archaeometallurgist back in 1993, when he began his apprenticeship as a bronze art foundryman, which he successfully finished in 1996 as Germany’s best journeyman. He spent a year in Austria’s finest foundry to work for illustrious artists, such as Alfred Hrdlicka. He expanded his experience in the now lost sand piece-mould casting method, thereby postponing the extinction of this most elegant form of casting by a few decades. In 1997 after a good five years of bronze casting he decided to start the study of prehistory to become, one day, a specialist on the history of bronze casting. He did his MSc in 2003 at University of Cape Town. In 2005 -2011 he did his PhD in archaeometallurgy at the most prestigious place for archaeometallurgy: The Institute of Archaeology at University College London. He started his own archaeometallurgical consulting business in 2012. Since 2013 teaches archaeometallurgy as a visiting lecturer at the Institute of Archaeology at the University of Freiburg. He is offering courses on copper metallurgy since 1999 . He also been busy working on numerous experimental archaeometallurgy projects, such as for example medieval brass production by the ancient calamine process in Belgium or experiments on the first copper production of the world in Serbia. This entry was posted on Thursday, March 6th, 2014 at 19:04and is filed under . You can follow any responses to this entry through the RSS 2.0 feed. You can leave a response, or trackback from your own site.